ITIM and Emergency Care Institute (ECI) are advocating for the adoption of foam cervical collars in the initial management of injured adults and children requiring cervical spine immobilisation being transported by NSW Ambulance and presenting to NSW Health facilities. Queensland Ambulance Service and a number of specialist trauma and spinal services in NSW, ACT and QLD have adopted the use of the foam cervical collars. This change in practice has been supported by the Australian and New Zealand Committee on Resuscitation (ANZCOR) and the Spinal Surgeons of NSW. 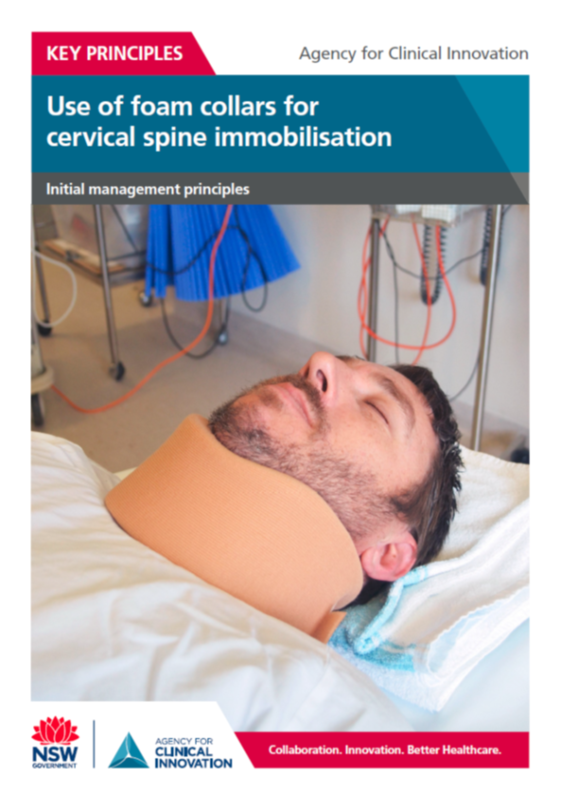 The principles outlined in the document represent a framework for NSW Ambulance and LHDs to implement the use of foam cervical collars for trauma patients.